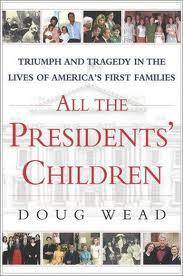 Start Reading "All the Presidents' Children" in less than a minute on kindle. Order here. According to one official source, there have been nineteen White House weddings, including nine presidential children and one president, Grover Cleveland. Two other presidents were married outside the White House during their time in office, John Tyler and Woodrow Wilson. The number nineteen, however, is not definitive. The problem with this official count is that no one, including the White House office of protocol, will produce the definitive list. 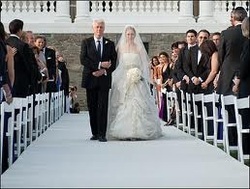 Several times I have started my own list of White House weddings and had to abandon the process. There are just too many contradictions and unknowns about the cousins, employees and visiting guests of the presidential families who were married on the White House grounds in the early years. In recent times there has been more control and accountability. But even now, there are rumors of a secret service agent who secreted his bride and a justice of the peace into the West Wing for a quick ceremony. On May 28, 1994, Tony Rodham, the brother of First Lady Hillary Clinton, married Nicole Boxer, the daughter of California Senator, Barbara Boxer, in a White House ceremony. This website lists the most prominent White House weddings and the weddings of presidential children married during their father's term in office. The White House wedding of Maria Monroe. An event marred by a murder, it was the first great social event in American history. It became the subject of Cabinet Meetings. The uninvited diplomatic corps became enraged and the resultant furor stiffened the president’s spine as he enunciated his famous Monroe Doctrine, our most enduring foreign policy initiative. 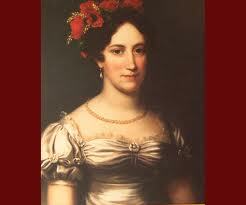 Esther Cleveland, married in Westminster Abbey. The Westminster Abbey wedding of Esther Cleveland. Now this one gets complex. Imagine trying to explain the Clintons in one paragraph? 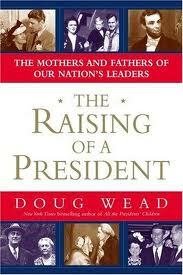 President Grover Cleveland married his own ward in a White House ceremony. He was 49, she was 21. Much of the nation was outraged. The president did not kiss the bride at the White House wedding. But when the couple had a child of their own, the nation was smitten. It was not the baby’s fault. The lives of Ruth Cleveland and later her sister Esther were followed avidly. When Ruth died at age 12, the nation went into deep morning. The Curtis Candy Company issued its controversial “Baby Ruth” candy bar. When Esther finally married minor English gentry at Westminster Abbey in London, England it captured the news on both continents. 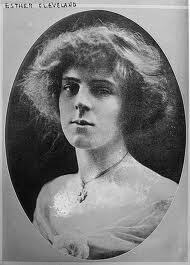 Alice Roosevelt may have had the greatest wedding in American history. She is referred to by some as the first great female celebrity of the 20th century. She shocked the nation by smoking cigarettes in public and driving a car without a chaperone but was too popular for pulpits to condemn. The number one hit song in the country was about her. There was a color named for her. Alice’s wedding to congressman Nicholas Longworth covered every inch of the front page of the Washington Post. Jenna Welch Bush, the younger of twin daughters born to President and Mrs. George W. Bush, married Henry Chase Hager at the Prairie Chapel Ranch near Crawford, Texas. Jenna, a published author, now works as a teacher's aide and a correspondent for The Today Show on NBC television. Tricia Nixon’s wedding represented the high water mark in weddings for presidential children. After the two Johnson daughter dress rehearsals, this resulted in national television specials that ran in prime time with photographs and some film footage of the event. Tricia Nixon Cox was a stunner, who appeared twice on the cover of Life Magazine. Fanny Hayes only married after her parents died. 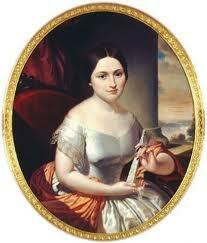 She was the daughter of President Rutherford B. Hayes and came to the White House at the same age as Malia Obama. The nation followed her life. Only when both of her parents died did she finally marry. The nation was overjoyed. The ceremony was held in Ohio and the sitting president and his cabinet took their private trains to journey to the event.